A new study on mice offers insights into why some people's hair may turn gray in response to a serious illness or chronic stress. Publishing May 3 in the open access journal PLOS Biology, researchers at the National Institutes of Health and the University of Alabama, Birmingham have discovered a connection between the genes that contribute to hair color and the genes that notify our bodies of a pathogenic infection. When a body is under attack from a virus or bacteria, the innate immune system kicks into gear. All cells have the ability to detect foreign invaders and they respond by producing signaling molecules called interferons. Interferons signal to other cells to take action by turning on the expression of genes that inhibit viral replication, activate immune effector cells, and increase host defenses. The connection between hair pigmentation and innate immune regulation was initially a bit surprising. Melissa Harris, primary author and assistant professor within the Department of Biology at UAB explains, "Genomic tools allow us to assess how all of the genes within our genome change their expression under different conditions, and sometimes they change in ways that we don't anticipate. We are interested in genes that affect how our stem cells are maintained over time. 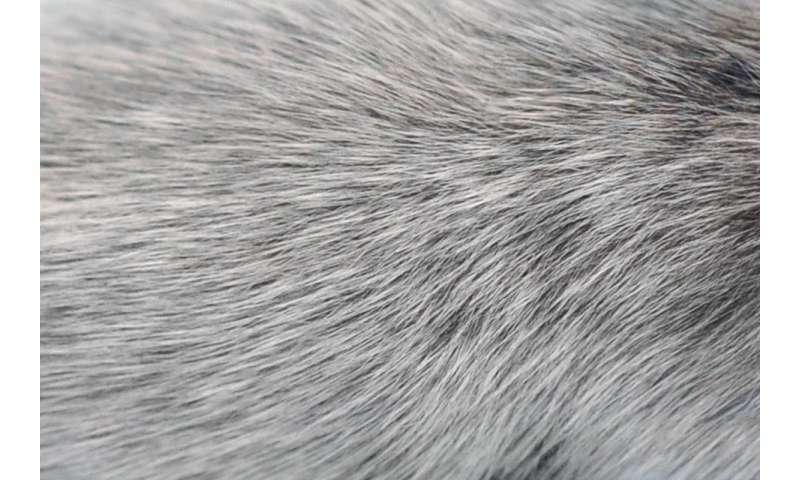 We like to study gray hair because it's an easy read-out of melanocyte stem cell dysfunction." Melanocyte stem cells are essential to hair color as they produce the melanocytes that are responsible for making and depositing pigment into the hair shaft. In this case, an unexpected link was found between gray hair, the transcription factor MITF, and innate immunity. MITF is best known for its role in regulating the many functions within melanocytes. But the researchers found that MITF also serves to keep the melanocytes' interferon response in check. If MITF's control of the interferon response is lost in melanocyte stem cells, hair-graying results. Furthermore, if innate immune signaling is artificially activated in mice that are predisposed for getting gray hair, increased numbers of gray hairs are also produced. "This new discovery suggests that genes that control pigment in hair and skin also work to control the innate immune system," said William Pavan, study co-author and chief of the Genetic Disease Research Branch at NIH's National Human Genome Research Institute (NHGRI). "These results may enhance our understanding of hair graying. More importantly, discovering this connection will help us understand pigmentation diseases with innate immune system involvement like vitiligo." Vitiligo, which causes discolored skin patches, affects between 0.5 percent to 1 percent of all humans. Why mice that are predisposed for getting gray hair are more susceptible to dysregulated innate immune signaling remains to be answered. The researchers speculate that perhaps this can explain why some people experience premature gray hair early in life, and they will continue their studies to address this question. I would also submit that loss of pigmentation in skin that leaves the skin looking more like parchment could also be a related indication.